Keeping with the trend established by the previous two releases, the 1976 Topps Baseball card set has a 660-card checklist. While the total numbers of cards is the same, the number of key rookie cards is lacking, especially when compared to the robust checklist touted by the 1975 Topps Baseball set. 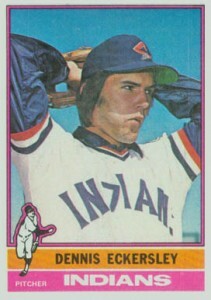 The three most noteworthy rookie cards in 1976 Topps Baseball are of Dennis Eckersley (#98), Ron Guidry, (#599) and Willie Randolph (#592). 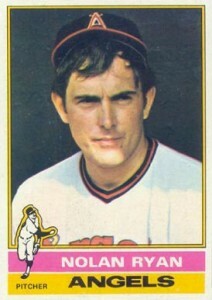 Other lesser-known players with rookie cards in the 1976 set include Larry Parrish (#141) and Mike Flanagan (#589). While no errors or variations exist within the set, it's interesting to note that in 1976, Topps produced a business card for Joe Garagiola. The former baseball player was the host of the popular Today Show at that time. The front of the card was created using the 1973 Topps design and the back mimicked the look of the 1976 Topps set and listed his MLB career stats and his NBC contact information. The 1976 Topps Baseball card set includes the following subsets, some of which were new to the annual release. The first six cards of the set feature players who had broken records the previous season. The first card in particular, that of Hank Aaron breaking the career RBI mark, is one of the most popular cards in the set. The All-Time All-Stars subset (#341 to 350) is also very popular and features baseball legends like Babe Ruth, Lou Gehrig, Ty Cobb, Honus Wagner, and Ted Williams. 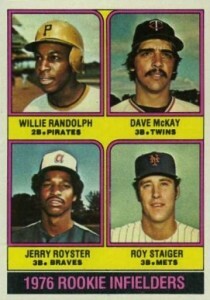 The design of the 1976 Topps Baseball card set could best be described as a blend of the 1974 and 1975 sets. The result is a sum that's greater than either of the individual parts and much easier on the eyes. The design essentially consists of mellow color combinations which are used atop white backgrounds which spotlight some of Topps' best photography in years. The white-bordered cards feature two colored bars, stacked one on top of the other along the bottom edge of the card. The first houses the player's name, while the second lists his team and fielding position. In the foreground, off-set to the left is a generic graphic of a baseball player in one of several in-action positions. The card backs utilize a green and black color scheme that also incorporates the grey of the card stock. Biographical and yearly statistical information are detailed. In a change from previous years, only some of the cards have the well established cartoon and blurb. However, all cards have some bit of anecdotal information even if not featuring a cartoon. Printed in a single series, the cards were originally available in ten-card wax packs for 15 cents, and seven-card wax packs for ten cents. Cellos, rack packs and vending boxes were also available. Later printings have randomly inserted "Traded" cards. 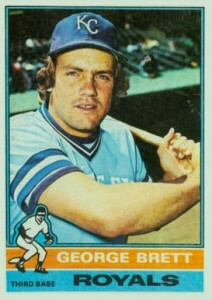 Consisting of a 44-card set, the 1976 Topps Baseball Traded set has similar card fronts as the regular issue. The key differences being that the bar with the team name was removed and overlaid at a slight angle is a design component that looks like the ripped headline portion of a newspaper. The backs of the card display a larger version of this newspaper motif. In 1976, Topps also printed an unreleased test set of cloth stickers on one of four different types of material. 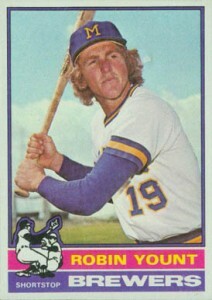 The fronts of the sticker replicated the regular 1976 Topps set and contained blank backs. The company had experimented with these types of stickers for years and would release a larger set in the future. In total, the 1976 Topps Baseball cards is a an affordable offering of established veterans complimented with the rookie card of Dennis Eckersley. Adding to the set's value is the inclusion of legendary players long retired from the game and the sophomore cards of Robin Yount (#316) and George Brett (#19). Despite typical centering and mis-cut issues common for the era, high-grade cards can still be found. As a result the set is increasing in popularity. 1976 Topps #559 Hank Aaron Milwaukee Brewers HOF PSA 9 MINT " TOUGH "